Climb under this cover on a cold winter’s night and you’ll stay cozy and warm. 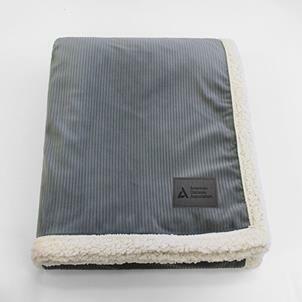 Modern steel grey color corduroy blanket with lamb’s wool lining. Handsome ADA logo on ultra-suede patch. Measures: 50" x 60"